This article by STEVEN GREENHOUSE Published: August 10, 2013 in the New York Times provides details on how the Workers Defense Project was able to see that immigrant workers received the pay they were due on an Austin construction project. 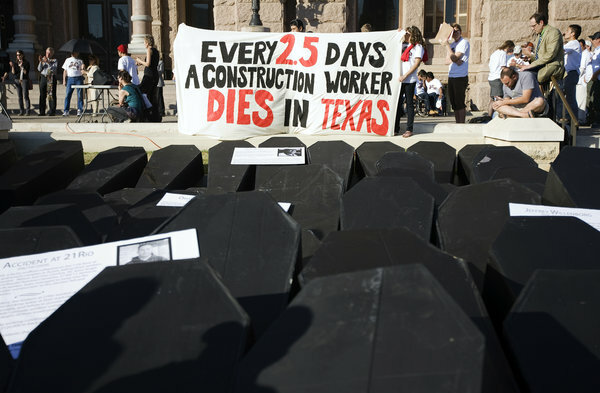 LIKE most construction workers who come to see Patricia Zavala, the two dozen men who crowded into her office in Austin, Tex., one afternoon in March had a complaint. The workers, most of them Honduran immigrants, had jobs applying stucco to the exterior of a 17-story luxury student residence. It was difficult, dangerous work, but that was to be expected. What upset them was that for the previous two weeks their crew leader had not paid them; each was owed about $1,000. Ms. Zavala, the workplace justice coordinator at the Workers Defense Project, listened to their stories and then spent a month failing to persuade the contractors to pay the back wages. So Ms. Zavala, 27, a graduate of the University of California, Santa Barbara, and the daughter of a Peruvian immigrant, turned to what she calls the nuclear option: the workers filed a lien on the building site. That legal maneuver snarls any effort to make transactions on the property and sometimes causes banks and investors to freeze financing. The lien, along with a threatened protest march, quickly got the attention of the dormitory’s developer, American Campus Communities, and the general contractor, Harvey-Cleary Builders. Within hours, Harvey-Cleary arranged a meeting between the stucco contractor and the unpaid workers, and, presto, Harvey-Cleary and the contractor, Pillar Construction, agreed to pay the $24,767 owed to the workers. The Workers Defense Project, founded in 2002, has emerged as one of the nation’s most creative organizations for immigrant workers. Its focus is the Texas construction industry, which employs more than 600,000 workers, about half of whom, several studies suggest, are unauthorized immigrants. Immigrant workers, especially those who are undocumented, are especially vulnerable to abuse by contractors. 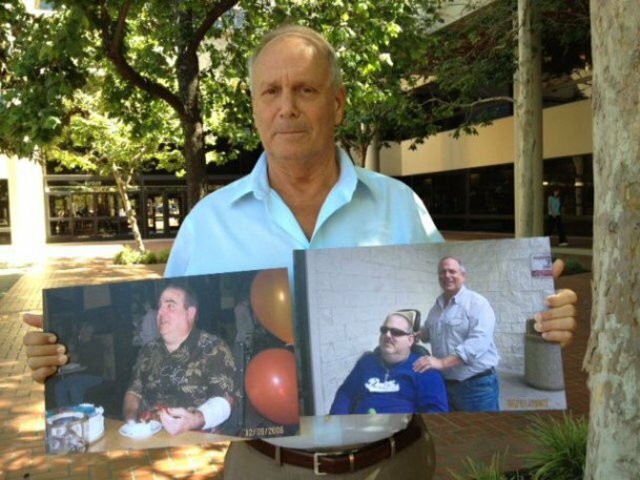 Each year, the Workers Defense Project, which has 2,000 dues-paying members, receives about 500 complaints from workers who say they were cheated out of overtime or denied a water break in Texas’ scorching summer heat or stuck with huge hospital bills for an on-the-job injury. The Workers Defense Project is one of 225 worker centers nationwide aiding many of the country’s 22 million immigrant workers. The centers have sprouted up largely because labor unions have not organized in many fields where immigrants have gravitated, like restaurants, landscaping and driving taxis. And there is another reason: many immigrants feel that unions are hostile to them. Some union members say that immigrants, who are often willing to work for lower wages, are stealing their jobs. At a recent Workers Defense Project meeting — they are held every Tuesday night — the atmosphere was part pep rally, part educational session, part social hour. After a dinner of tacos, rice and beans, about 60 workers plotted strategy for a demonstration against the developer of a 1,000-room Marriott hotel. A skit mocking the developer drew raucous laughter. The energy and sense of solidarity were reminiscent of what America’s labor unions had many decades ago, before they started to stumble and stagnate. the San Francisco City Council to enact a paid-sick-days law and a minimum wage of $10.55 an hour. With labor unions losing members and influence, these centers are increasingly seen as an important alternative form of workplace advocacy, although no one expects them to be nearly as effective as unions in winning raises, pensions or paid vacations. “Worker centers are filling a void by reaching out to a work force that is particularly hard to reach out to,” said Victor Narro, a specialist on immigrant workers at the University of California, Los Angeles.